So, you have read through Modern Farmhouse Staple: The Antique Black Bed and picked out your favorite inspiration antique black bed picture, but now what? You know YOUR STYLE, but you are still feeling a little overwhelmed. The beds start blending together and looking the same, and well…. you just don’t know where to go from here. That’s where I come in to help save the day!!! (cough cough). I have done a little research and picked out the 20 Best Modern Farmhouse (Antique) Black Beds to help you. So, here is Modern Farmhouse Staple: The Antique Black Bed (Part 2) …..Shop the look post to help make it easier for you to transition from dream to reality!! ***NOTE*** These beds are antique reproductions (made to look like antiques). Just wanted to clarify that – thnx!! Here are my picks for the 20 Best (reproduction) Antique Black Beds to help you achieve your Modern Farmhouse master bedroom or guest bedroom style. I tried to give as many options (different shapes, designs, styles, & sizes) as possible. I have options for king-sized beds, queen or full-sized beds, twin beds, bunk beds, and daybeds. I hope that there is at least one style (or 2, or 3 – haha!!) for everyone. If not, let me know. I’d love to help make your shopping experience easier. 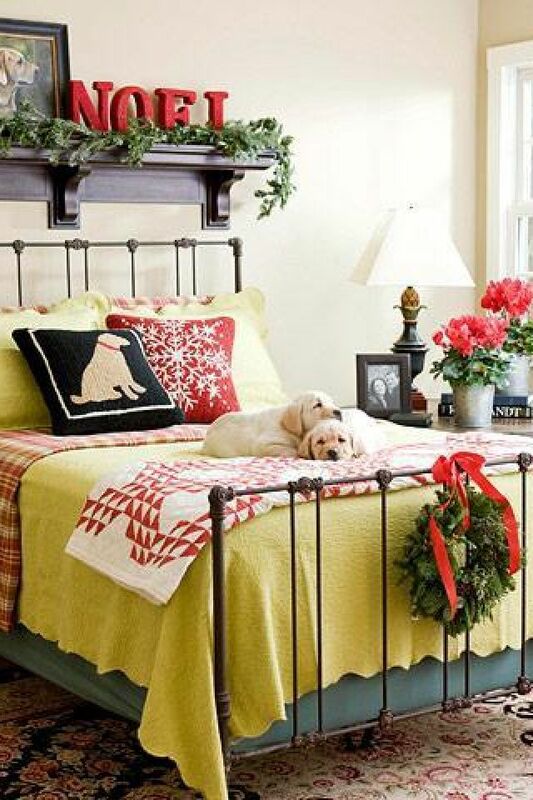 ***TIP*** This is a perfect time of the year to get your guest room ready (for Christmas guests) so that you don’t have to stress out when November rolls around. And it’s never a bad idea to give an early Christmas present to well — yourself!! LOL – Happy Shopping!! Just click on the link (“click here”) on the top of each picture if you want more info on each bed. ***NOTE*** Some of the beds may be rubbed black or dark bronze (just wanted to give you a heads up when searching. Both colors will still achieve the dark frame color). If you want to see more inspirational pictures to help make your decision easier, here is the link again. Click Modern Farmhouse Staple: The Antique Black Bed (Part 1). This post will help you decide what bed design best suits your farmhouse style. Let me know which one you choose – I’d love to see it in your house!! It’s soooo exciting to see before and after pictures of bedroom makeovers. Keep me posted!! Brick Fireplaces natural (part 2) and white (part 1). All I can say is…..wow! Our flooded house makeover after Hurricane Harvey has been LONG, extremely draining, emotional and painful. I am not going to sugar coat this horrible situation at all – just gonna keep it real!! Some days I didn’t know if I could even get out of bed and go through our “normal” routine; it was really that bad. Even now as I go back through the pictures, my tears flow uncontrollably. It will be an experience that we will never forget, and will change the way we view our lives forever. It has been over 11 months, and we are still unpacking boxes and getting settled in. BUT…. through the grace of God, and His Spirit moving in and taking over – our family has survived!! We are beginning to see a glimpse of hope and wonder of what God has in store for our family. And this house – well, it is now turning back into our HOME again!! AMEN!! If you want to view part 1 click HURRICANE HARVEY FLOODED – THE DESTRUCTION (Part 1). So, today I am posting before and after pictures of our house. Some are before the flood, after the flood, the rebuilding, and the areas that I am working on. I will show more “staged” or decorated pictures as I get rooms completely done, but wanted to show pictures of the progress while unpacking. NOTE: things are not clean, nor are these the best quality of pictures. Hopefully soon I can do some updates. As for now – here they are!! woohoo!! I am loving my custom x-shaped double barn doors for the office/piano room. I know they were a lot of work for the guys to install since they they were so heavy….but they do dress up the entrance to this room don’t ya think?? My husband has been able to work from this room now, and can close the doors easily for a little quiet time. Opening up the walls from the kitchen to the living room has made a huge difference in the flow of these 3 areas. I always felt like we had a living room section, a breakfast table section, and then the kitchen. Even though they were only separated with the double arches and bar top, they still felt closed off. Now we have a ton of natural light and can access both sides of the island. Yep….my Boomer always likes to pose for the pictures!! He is such a glory hound – no pun intended!! l can’t wait to set up the bookshelves with some family photos and personalize this shiplap wall. It is still one of my favorite things that we decided to add to the remodel. I will post more pictures soon, and provide some closeups pictures also. This is just a little sneak peek at all of the changes we made. SO….. Whatcha think?? I am loving how it is all coming together, and can’t wait to get everything unpacked. I know I am feeling more like myself already because I am already thinking of decorating for fall – LOL!! If you want to see my fall decorations from last year – right before we flooded – click Blue and White Fall Dining Room, Blue and Orange Fall Living Room, Halloween-Fall Foyer, and Halloween Fa-BOO-lous Breakfast Party. In every industry, you have go-to items, must-have items, staples that people cannot live without. In the consumer industry, you have food and drinks. In the fashion industry you have clothes and shoes. And in the Modern Farmhouse Industy (yep, i called it an industry 😉 ) …..you have barn doors, shiplap walls, and YES….the Antique Black Bed. End result….Modern Farmhouse Staple: The Antique Black Bed. The antique (or reproduction) black bed is the epitome of farmhouse style: bold frame, simple lines, and a very understated cry for attention. But make no mistake…..it makes the biggest impression in the bedroom!! It. IS. Farmhouse…. and is a must-have to complete your modern farmhouse look!! It can go with any farmhouse transitional style as well: farmhouse chic, farmhouse coastal, farmhouse boho, farmhouse traditonal, farmhouse rustic, and more. So, if you are not completely committed to the modern farmhouse style, simply change out the accessories in the room, and you have a new style!! So, what is the skinny on this modern farmhouse antique black bed? There are two styles that show up in all modern farmhouse bedrooms: 1. the wooden spool bed and 2. the iron bed. 1) The wooden spool bed– is named after a famous Swedish Opera Singer, Johanna “Jenny” Maria Lind, born in Stockholm in 1820 (antiqueshoppefl.com). She was a very popular singer in Europe, but didn’t come to tour in America until 1850 (antiqueshoppefl.com). It was during this time in America that she began to favor the spool bed, and that is how it got it’s name (antiqueshoppefl.com). But the story has a little twist. Of the two pictures to the left, the bottom picture is actually the spool bed of that time, but the top picture is what has been “coined” (incorrectly) as the Jenny Lind bed (antiqueshoppefl.com). So if you want to learn the true history of the Jenny Lind bed, click antiqueshoppefl.com. This is a great article for all you antique lovers out there!! 2) Iron beds were made in the USA and Europe, and were popular from the early 1800’s until about 1914 (cathousebeds.com). Production of iron beds came to a stop because of iron needed for World War I (cathousebeds.com) and the war efforts at that time. Once the war ended in 1918, styles changed, and iron bed frames were no longer cost effective (cathousebeds.com). It would take days for small furniture makers to make ONE hand-made iron bed. Cry- cry, sniff- sniff!! Thank goodness furniture companies have been able to build reproductions similar to the antique versions. If you want to learn more about the 8 iron bed frame styles, tubing, and castings ….. click cathousebeds.com. This company is incredible, and rich in knowledge and product! Do you have a favorite? Wooden or Iron? Simple lines, Curves, or Scrolls? Four Poster, Canopy or Plain frame? Shoot me a comment. Need more modern farmhouse inpiration? 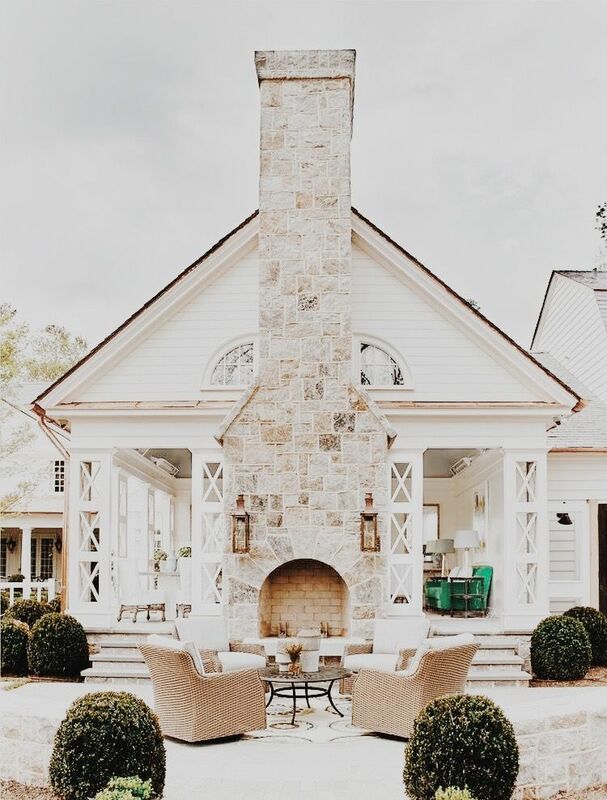 Click here for modern farmhouse bar stools, click here for shiplap, or click here for modern farmhouse find your style mood boards. So, if you’re ever read any of my posts, you’ll notice that I love color. Let me try that again…..I actually NEED color. I have tried to mimic the adorable black and white “farmhouse look”, and have attempted to live with the sophisticated “neutrals” look – but I just can’t do it!! Color does personally affect my mood, and changes the way I feel – every. single. day!! If you are one of those same kind of people, or just really want to try “color” out, then keep reading! 10 Ways to Add Color To Your Entry (Foyer). Here is the list of 10 items that I recommend for adding some color to your entryway this year. Don’t be afraid – lol!! Try out a couple of items first, and see how adding color makes you feel. You can always add more if want to go bold, or you can use lighter colors if you want a softer look. Just remember, it’s your home so have some fun with it! Adding throw pillows is the easiest way to incorporate color into your entry. Toss the pillows onto a bench, tuck them in a basket, display them under a console table, or even use them as a welcome message. Stick with 2 to 3 colors for a clean look, or use an assortment of colors (with same depth) for a boho look. Using throw blankets is another easy way to add a splash of color to your foyer. Drape them onto an entry bench, tuck them into a basket under a console, or display them on a farmhouse ladder. Throw blankets are easy to change out from season to season, are budget-friendly, and add a little “warmth” (texture) to your vignette. Click here for yellow stripe throw blanket. The last picture (below) is from our living room. To see more of that post click Opening Up Kitchen Walls to Living Room. Click her for: Yellow Stripe Throw Blanket. Use an upholstered bench or painted wooden bench to add color to your entryway. Who doesn’t love a cute bench these days – right? They are basically now a staple in home decorating because of their versatility and functionality. Add toss pillows or throw blankets (like already mentioned), put baskets underneath it for storage, or buy a storage bench – that has hidden storage built-in. I’m showing 4 ways to use the entry bench – layering on the color one step at a time. Paint an existing console table ( my tutorial click here ) a neutral shade to blend with other hues in the same color scheme, or go bold if you want the entry table to be a feature piece. I painted my entry table a deep smoky blue color with gray undertones to keep it more neutral, and to add depth/dimension to my color palette. This helps me to decorate with a monochromatic blue color scheme, while using yellow as my accent color. ***TIP*** Use a white or black console table as “your color” in the entry as well. These 2 colors will also help with adding contrast to other colors (even though they read as neutrals). I absolutely LOVE flowers, especially at spring and summer time!! So, I tend to go a LITTLE overboard – lol!! I know in the past the big thing was to go with “fresh flowers”- but they tend to get expensive- quickly. Silk flowers have come a long way in the last 5 years or so. It’s very difficult now to tell the difference between fresh and artificial flowers. Add large or long stems for big impact, and use smaller blooms or bushels for soft accents. Put flowers in vases, hang them in mason jars on the wall, or use wreaths. You can also tuck them in baskets or let the petals casually fall on a tray…..let your creativity go wild. If it makes you happy – then it’s ok!! The last 2 pictures are from our 1) fall foyer – click Fall Home Tour 2018 and 2) Easter decor – click My Easter Tablescape: Blue & Yellow if you want to read more about those posts. Adding baskets is a great way to incorporate color, pattern, texture and function!! Win- win!! Use neutral shades to ground your color palette, or punch up your color a notch by using colored baskets. ***TIP*** Even a straw-colored “neutral” basket actually reads like a color. It will pick up tans, yellows, wheat-color, or even gold tones. And the farmhouse baskets….they have gray undertones. So they can read as blues, grays, charcoal, or greige. ***TIP*** If you have some older baskets at home that you no longer care for, or they have gotten a little worn out – paint them!! I painted the basket under the blue console table (below) white to hide some of the areas that had faded. Use wall art to add pops of color to your entry, and to add interest. It’s kind of like the chicken before the egg thing – do you pick your wall decor first, and then find coordinating accents colors. Or do you find your accent colors first, and then hope to find similar colors in your art piece. Normally, you would pick your artwork first, and then pull colors out of the piece to work with. But if you like to use two main colors (like blue and white) with one accent pop of color (yellow), then you can find artwork in either of these colors. ***TIP*** Use a mirror to showcase something on the opposite wall, as your accent color (see 3rd picture below). The bottom black mirror is at a perfect angle to see my throw pillows on our bench. The last picture is from our master bedroom. Click Home Tour: Coastal Farmhouse Master Bedroom to see that post. I know that lamps and lamp shades are not the first items that come to mind when thinking of adding color to your entry vignette. But they are one of the easiest ways to add contrast to an existing color palette, or to actually add the “pop” of color to a more neutral color palette. I personally have a love affair with lamps, so I do go a little cra-zee with them. I don’t really follow any rules (or trends) too much with lamps/ shades either. If I like it – I use it 🙂 My favorite lamp bases tend to have antique shapes, and my lamp shades tend to be bold. Just gotta roll with who you are, and use things that make you smile!! Related posts for pictures below: Fall Home Tour 2018, Setting a Fall Table, Opening up Kitchen Walls, Master Bed Frame Makeover – Painted White. Adding rugs (with color) is definitely one of my absolute favorite ways to add personality to an entryway. Rugs actually set the tone of your home, and give your guests an idea of how your home life runs. Are you more formal, casual, or playful? I tend to choose rugs that are a color + white: 1) blue and white, 2) gray and white, 3) seafoam and white are some of mine. This style of colorful rug choice, helps me to “pop” other accent colors out without too much effort. This style also allows me to play with the accent hues: 1) bright yellow vs. mustard yellow, 2) dark teal blue vs. sea glass blue, 3) deep coral pink vs. rose pink. The last 2 pictures are from other posts: Click Hurricane Harvey Flooded House Makeover or My House Paint Colors: House of Blues to read more. Using decorative accents is of course the most obvious way to add color to your entry. You can try colorful vases, books, trays, candles/candle sticks, fill lanterns with colorful items, picture frames, or your favorite accessories (like my pineapple – lol)!! And yes, I know that it is white – but it “pops” off my blue console table…..so it reads as a color. ***TIP*** Try to use home decor accents that are in one or 2 colors only . This helps create a more unified or cohesive”look,” and keeps your console table from looking busy. The last picture is from another post. Click Fall To Christmas Decorating: 3 Easy Tips to read more. Shoot me some pictures of your new colorful entry – I’d love to see how it turns out! Happy Spring and Summer Everyone! !